We would all like to be able to guarantee how much money the Wells will raise. But of course, that depends on many variables beyond our control. Fortunately, some of them are in your control. We discuss these variables more below. But we are able to guarantee the workmanship and quality of our Wells. There are no moving parts, so the function is all dependent on the workmanship. We guarantee our Wells will leave our warehouse in perfect working condition with no defects. If a Well doesn't pass our inspection, the part in question is replaced. All our shipping includes insurance against shipping damage, so we guarantee that your Well will arrive to you in the same condition as when it leaves our dock. Fortunately, shipping damage is very rare. But as general practice, please open and inspect your Well immediately. Take pictures of any box damage, and any damage to any of the parts and send them to us at sales@divnick.com. Further, we guarantee that our Wells will generate income, smiles, and fun. We can't quantify those elements, but they are the reasons people toss money in and watch it spin. We offer all the reports, photos, and videos on our website as evidence that your Well(s) will perform as shown. And of course, most of our customers have seen and experienced Wells in person. Your own personal observations are even more important than any claims or stories that we post on this website. Durability: Our Wells are very rugged, made with the best materials and methods discussed here. They will never wear out from coins being dropped and spun around the surface of the funnel. The only possible way they can be broken is from rough handling or intentional vandalism, which we are not able to control. We discuss security steps here. How much money will they raise? That is most-asked question we receive. We jokingly reply, "If you can tell us how many pennies, nickels, dimes, and quarters are tossed in, we can add it up and tell you the total amount!" But seriously, there are many variables that affect Well income such as the number of people walking past and the location within the store or restaurant. For instance, we have Wells in two identical stores with identical foot-traffic data that produce far different results. One of them often has their Well hidden behind a stack of boxes in their Customer Service area and it only generates about $100 per month. The other store keeps their Well out in the middle of the entry and exit traffic pattern and they make sure their greeter has a pocket full of coins to drop in whenever children and parents walk past. They raise over $500 per week! 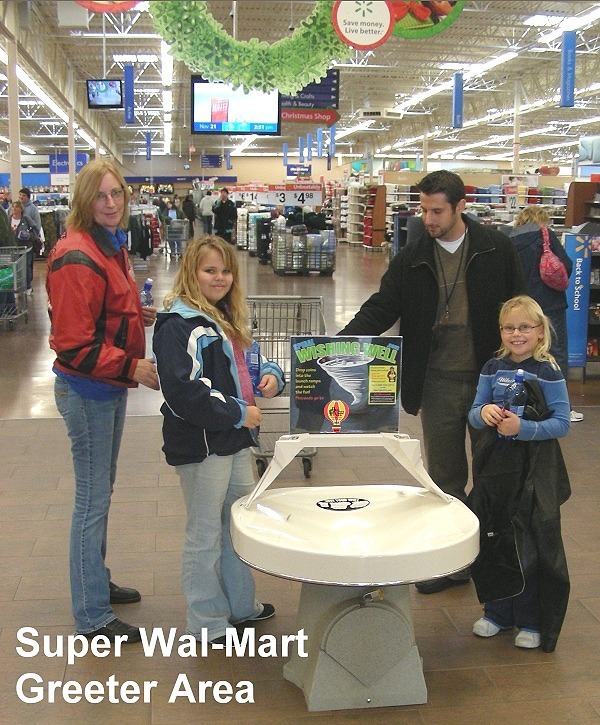 Not every location has a greeter, but just the location of the Well in the store can make a HUGE difference. Over the years, we have observed that one of the most significant variables is the attitude of the management. The more they like it, the more they feature it. To help improve these variables, we have published ways you can increase your income. 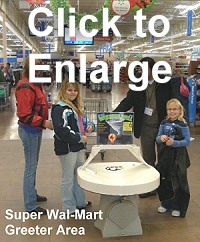 Children and adults will love tossing in coins and watching them spiral around the funnel. Wells are fun. Wells generally pay for themselves very quickly. Even in marginal foot-traffic locations they will return a nice profit, certainly better than a passive collector. Wells require very little effort, especially compared to organized fund raising campaigns. Wells do not "solicit" customers, so they will not feel uncomfortable if they pass by without dropping in coins. Wells solve a fund-raising challenges for stores, charities, and organizations with their own floor space such as museums, libraries, humane societies, YMCA's, etc..
Click here to see actual income reports.